Ten years ago, Guam-based father of six, Leo Babauta, was on the brink…of failure, bankruptcy and, arguably, death. Eighty pounds overweight, chain-smoking, sedentary, stressed out of his mind, working in a job that left him empty and so deep in debt he had to swipe his kids’ piggy bank money to buy food for the family. He couldn’t see a way out. He couldn’t work any harder or put in more hours. And even if he could, his health was already so bad, it would’ve led to devastating results. Flash forward to 2013. 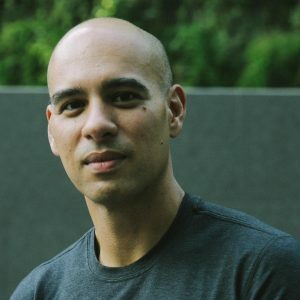 Babauta is 80 pounds lighter, an avid runner, vegetarian, non-smoker, multi-time author and entrepreneur and one of the world’s top bloggers with more than 1 million reading him at Zen Habits. His entire family now lives in San Francisco, where he earns a great living writing and solving peoples’ problems and drinking in a simple, deeply-connected and rewarding life. Question is, of course, how did he do it? In this week’s episode, Leo and I go deep into his journey. We explore where he was and how it was affecting his mindset, his health and his relationships. We talk about the moment of awakening that set in motion a series of profound changes in behavior and massive transformations in every area of his life.